The sparsely populated region of the Auvergne's north-western parts is a piece of picture-perfect France: Green fields stretch across rolling hills, which are bordered by hedges and narrow paths. In between, sleepy villages and Romanesque castles are dotted around the countryside, with a history that stretches back to Roman times. Nevertheless, the landscape of Limousin is hardly known and little developed for tourism. 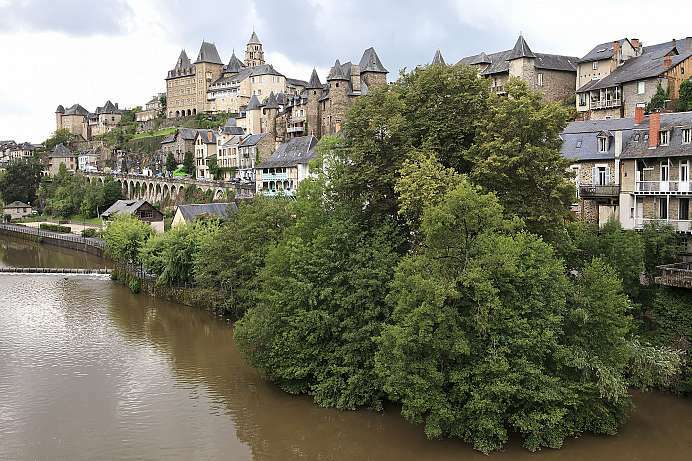 This historic town with its 3000 inhabitants is situated at a bend in the Vézère river and is a great place for canoeing and other outdoor activities. A medieval gate provides access to the old town, where you will see stone and half-timbered buildings with slated facades lining the crooked alleys.